“Some people think of tattoos a ‘second skin’, but I find that concept quite strange. The minute a tattoo is on my skin it becomes a part of me and I often find it hard to remember what it was like to not have it. Looking back at old photos is becoming increasingly weird, especially since I’ve become more heavily covered. For me, getting tattooed isn’t simply about decoration – every tattoo I have means something. That’s not to say tattoos without meaning are anything less, but for me each tattoo is marking a journey and allowing me to become more secure within myself. I have tattoos with friends, for family and inside jokes. “It was getting my stomach, hand and back tattooed that were the biggest steps in really bringing my vision to life, they were turning points for me. Those were the big tattoos that started to really frame my body and connect the dots if you will. I felt myself become so more comfortable in my own body after that. “With every tattoo you collect, you also step into a journey with your chosen artist. You put your trust in them. For example, I chose tattoo artist Hannah Pixie Snowdon to tattoo my entire back. I am a rather small human being and it was important for my back piece to be worn – and not for it to wear me. Its evolution has been both a representation of my growth as an individual and Hannah’s growth as an artist – it was the first back piece she ever created. As for physically getting it done, I squirmed, cried, winced and in parts it has become my worst nightmare come to life. “I am a tattoo artist myself, and I’ve had a lot of emotional experiences on my artistic journey. The other week, for example, a lovely woman had emailed me wanting a tattoo with a little nod to her mother who had recently passed away. Her mother had been diagnosed with bowel cancer and doctors had discovered a brain tumour within the same week. My mother was diagnosed with cancer in September last year and it’s been a hard journey, so this is something that struck home. She was a really lovely girl who had been through something that I could empathise with. 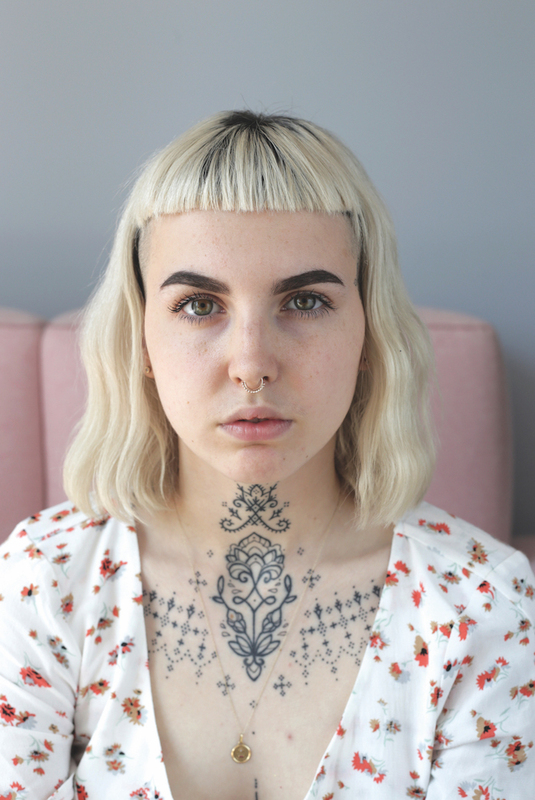 Read four more stories of women and their tattoos in issue 39 of Oh Comely.